Many optometry students focus on classes, passing the exams and passing boards. I wish I focused on practice management and learning more of the optical part of the business. It sounds so cliché to say this, but it is the truth. Making connections in the field does a lot for your career. 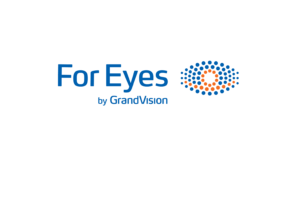 It allows you to not only meet other optometrists, but it is a great avenue for possible referrals down the road. And it isn’t just optometrists, you can also make connections with other specialists such as Ears, Nose and Throat doctors (ENT’s) and they may also send you a referral if someone needs an optometrist. Don’t over look other eye care professionals that can help you with your optical and clinical management. Your choice of Optometry Schools makes a difference. Sure it would be nice to skimp out and save money, but at what price? Does this college offer everything I need? If so what shortcuts are they taking? There is a reason some schools are cheaper than others. It is up to you to find that reason. Geography of the school can also help in making connections to getting the job you want in that area. This goes without saying, however, it is critical here. Optometrists hiring are looking for the smartest and brightest optometrists in the field and having a 4.0 GPA will get you a leg up on the competition. They also want someone that has a good work ethic and can adapt quickly. Clinical externships are extremely valuable to your studies, not only can it give you hands on training in real life situations. But it can also help connect you with peers in the industry which in turn could also give you an inside track to employment. This is the optometry version of dress to impress. In the medical field it is easy to get caught up in the riggers of the job and forget to take care of yourself. This is especially true if not only do you have a job but also a family. But you need to make time for yourself as well, whether it is exercising off hours or meditation. Not taking care of yourself can take a toll on you and it can hurt job performance. Decreasing screen time not only saves your eyes from strain, but it also helps you focus in the real world. Some screen time is okay, but too much can lead to poor health for both your eyes and your body if you are not getting enough exercise. When you are watching TV or on the computer, it may be beneficial to ask yourself? Is this the best use of my time? Can I be doing something better with this tine? Sometimes the answer will be no, and sometimes it will be yes. For example a no answer would be used if it’s the end of the day and you want to unwind before bed, or if you are working on reports at work. A yes answer may come if you find yourself on the weekend watching TV during the day instead of going out and being productive in some way. Posted in Corporate OD and tagged clinicial externships, grades, optometry school, optometry student.